Shop > Dering, Richard>Dering: Quem vidistis, pastores? 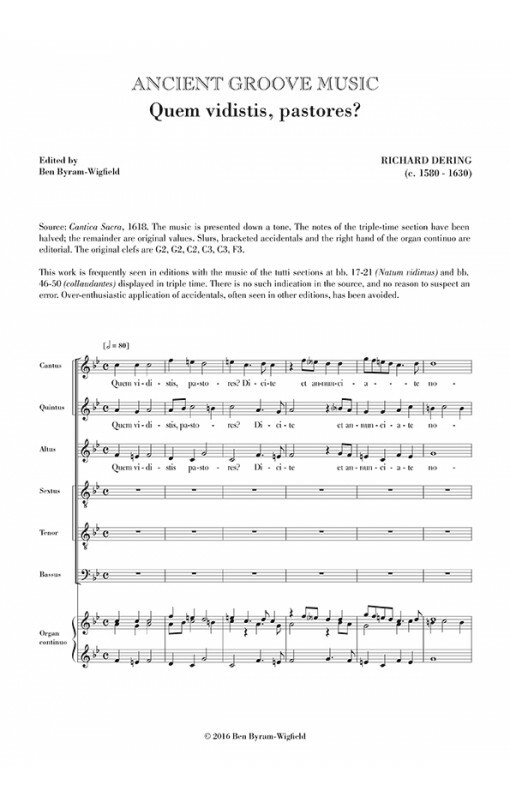 This work for SSATTB is frequently seen in editions with erroneous editorial time signatures and extraneous accidentals. 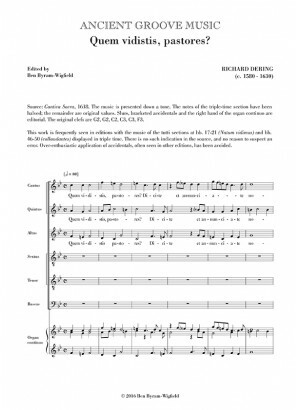 This edition hopes to provide a more faithful rendering of Dering's original piece, taken from the 1618 publication Cantica sacra.